This VM95 Series cartridge with 0.3 x 0.7 mil elliptical stylus fits half-inch mount turntables. The cartridge’s special coil design delivers a powerful output level of 4.0 mV. It also offers excellent channel separation and low distortion for outstanding tonal quality. The AT-VM95E is equipped with dual moving magnets that are positioned to match the left and right channels in the stereo record groove for outstanding channel separation and extended frequency response. 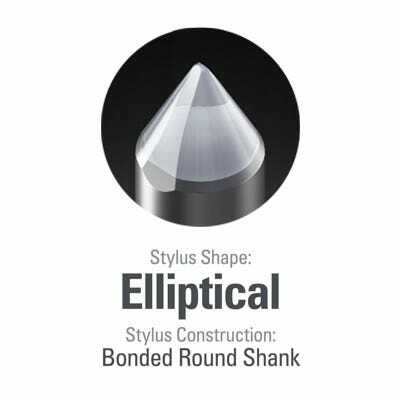 The elliptical stylus reduces tracing distortion and allows for more accurate sound reproduction.